Started in 1998, the Lichtzwang series consists today of more than 300 watercolors, all on 15 × 21 cm sheets of graph paper. Most works in the series are made up of groups of several watercolors wherein each successive work is a variation of the previous, showing a transformation. The last watercolor usually matches the first one, so that each group forms a loop that could be installed in any order. The process of realization is, however, guided by simple rules (play with the grid on the sheet, each item that appears in the watercolor lasts for three sheets), rules that bind while allowing improvisation and the introduction of a certain randomness in the process. 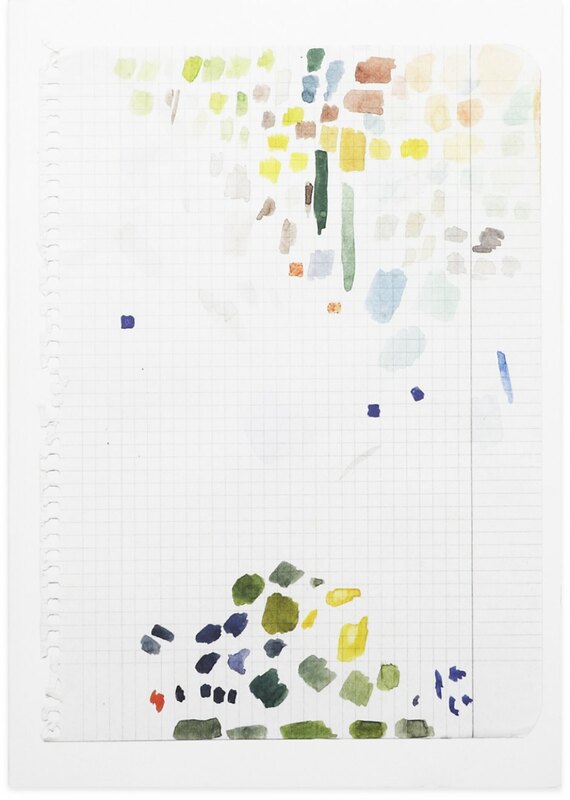 This publication comprises a selection of 256 watercolours made between 1998 and 2012 and was typed with the new Lichtzwang typeface and is published on the occasion of the presentation of the work at the 2012 São Paulo Biennial The Imminence of Poetics.